Following Yoochun’s press conference denying any connection to drug use or coercing ex-fiancee Hwang Hana into using drugs, the police had actually stated that she never named him as the celebrity and that he was not a suspect. Well that changed fast, as Hwang Hana later did name him as the person who allegedly coerced her to do drugs. On the April 12 broadcast of MBC’s “Newsdesk,” it was reported that Park Yoochun was identified by police in an investigative report as the person who used drugs with Hwang Ha Na. According to MBC, police secured testimony from Hwang Ha Na that she and Park Yoochun used drugs together two or three times early this year. Police, who launched into an investigation after securing the testimony, reportedly obtained a substantial amount of objective evidence to corroborate the allegations against Park Yoochun and have forwarded them to the prosecution. Although Hwang Ha Na and Park Yoochun were previously revealed to have broken up in May of 2018, police suspect that they continuously met despite the change in their relationship. 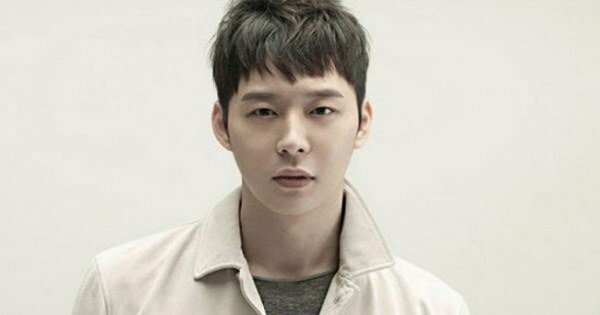 Police are considering investigating Park Yoochun early next week. Police have banned him from leaving the country. As far as Hwang Hana goes, police say they’ve found further info that she used drugs back in 2015, which has prompted yet another internal investigation into … well, themselves. It was also reported that after police reinvestigated the 2015 case in which Hwang Ha Na was cleared of charges, they found additional information that Hwang Ha Na had allegedly used drugs. The Seoul Metropolitan Police Agency decided to expand the investigation to the upper divisions that led the investigation, following a search into the investigation team from the Jongno Police Station that cleared Hwang Ha Na of the charges. Sources from the investigation team from the 2015 case denied suspicions of being pressured by others. They also denied receiving calls about Hwang Ha Na during that time. As I’ve said before, Hwang Hana is unreliable and so are the police to an extent. However, if they have physical evidence against Yoochun, then this isn’t looking the best for him.